With the school year just days away I know that there will have to be some sort of routine started again. Summer lazy mornings will soon come to an end - blah! I know that I will need my children to help out to make things go a little more smoothly in the morning and at night. This has gotta work! If not with my kids at least I will get to share them with YOU. To print them for a boy go here. For a girl go here. It's best to print them on heavy card stock. Here's to wishful carefree school mornings and nights! Dorie... that is such an awesome idea! Thanks so much for sharing :) See you Sunday! This is right decision for making punched cards. I think in these kind of Plastic Card you will be used so many cutting tools. 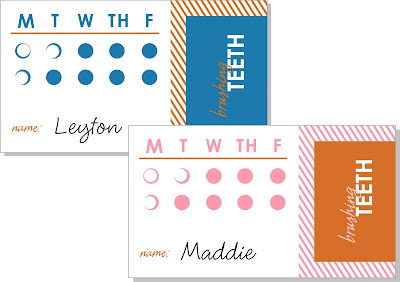 I really like these punch cards but the printable didn't work for me. What am I doing wrong?